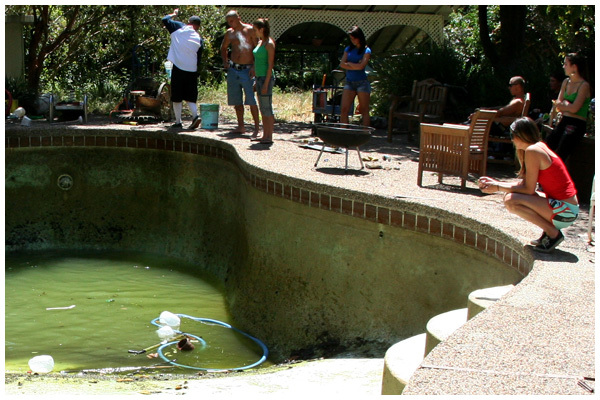 Confusion West Coast correspondent Dan Robinson checked in with some photos from a pool up in the mountains near Santa Cruz. 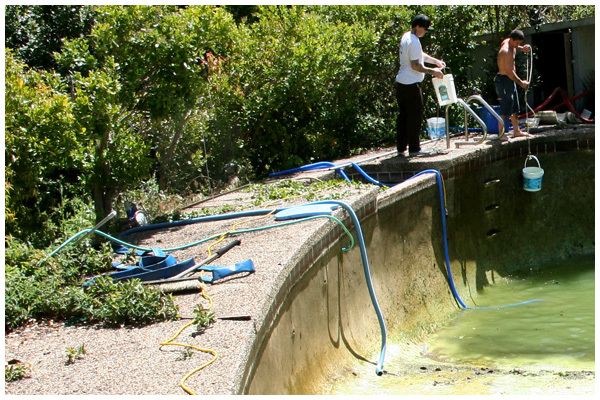 Be on the look out for more pools and DIY cement spots from Dan, because when it comes to finding pools or building VT, Dan’s the man! 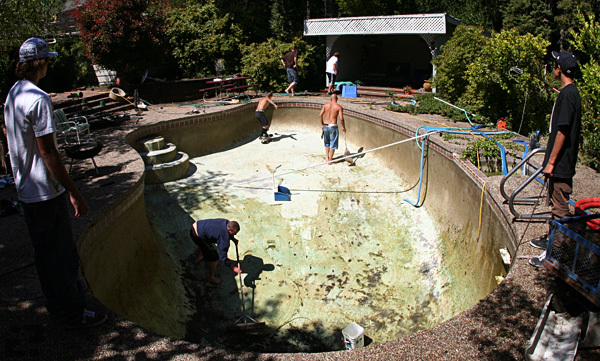 Scum Pool in the mountains near Santa Cruz getting drained. Jesse Gullings backside carve grinding the deep end of the Scum pool. Photo: Aaron Robinson.